Price Reduced! 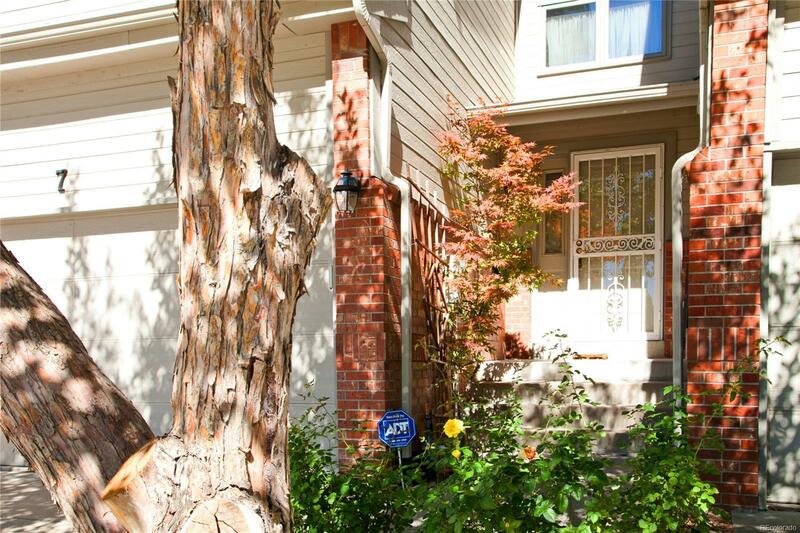 Inviting and large townhome in quiet, secluded neighborhood. Incredible location--within walking distance to G (Gold) Line light rail that is opening soon! Only 10 min. to historic Olde Town Arvada for dining, shopping and entertainment. All 3 bedrooms are master bedrms with bathrms offering deluxe, over-sized showers or full tub. 4th bathroom is powder room on main floor. New Furnace! Large, solarium-type windows in dining area bring in lots of natural light. Efficient kitchen, refrigerator included. Vaulted family room with a gas fireplace is open to the dining area & kitchen. Expansive hardwood floors in entrance foyer, kitchen, & dining area. Central A/C. Skylight in the main master bathrm provides great natural lighting. Convenient, main floor laundry, washer & dryer incl., has storage & cabinets. Enjoy your fenced, private patio with grass turf area, along with area for small garden. The back patio gate opens to the greenbelt. Quick access to I-70!